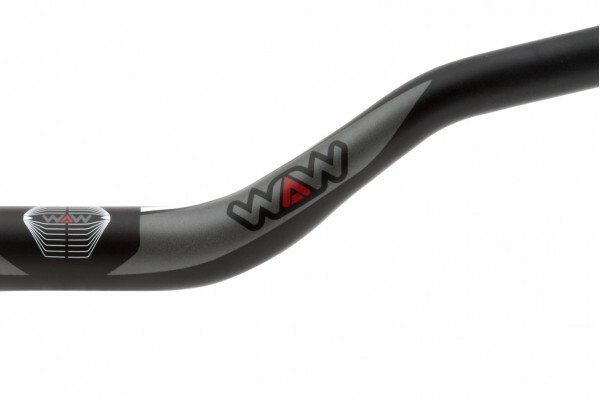 New Crewkerz Waw bike trials aluminium handlebar. Featuring an exclusive, versatile geometry with a reliable design that’s been tested for months by the Crewkerz team riders. 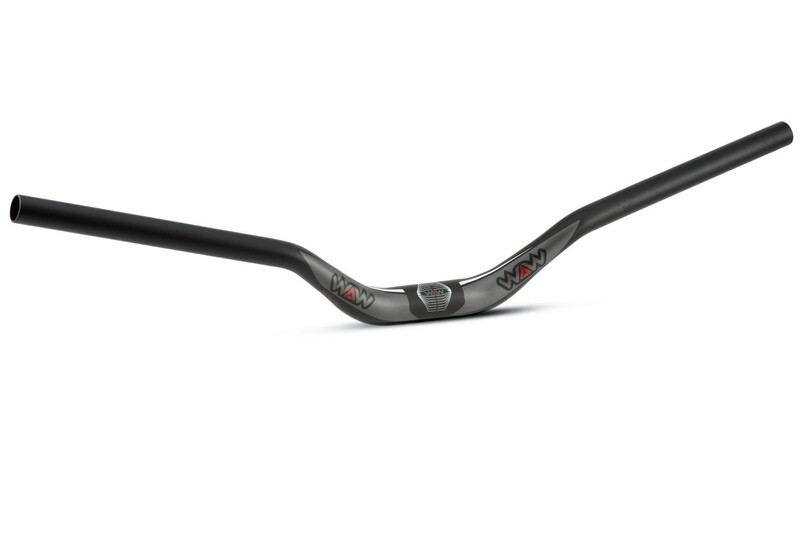 - Crewkerz WAW aluminium handlebar, specially developed for bike trials. 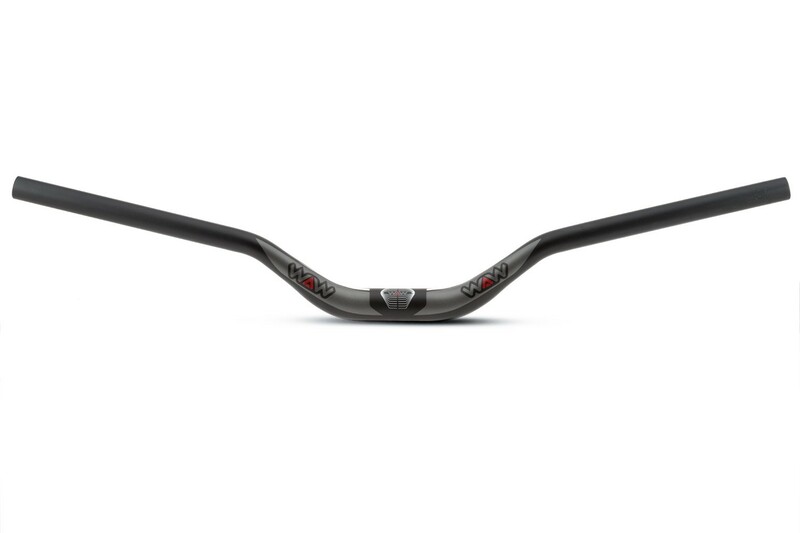 - Made of 7075-T6 aluminium alloy, which allows for a perfect balance between low weight and high strength and stiffness. 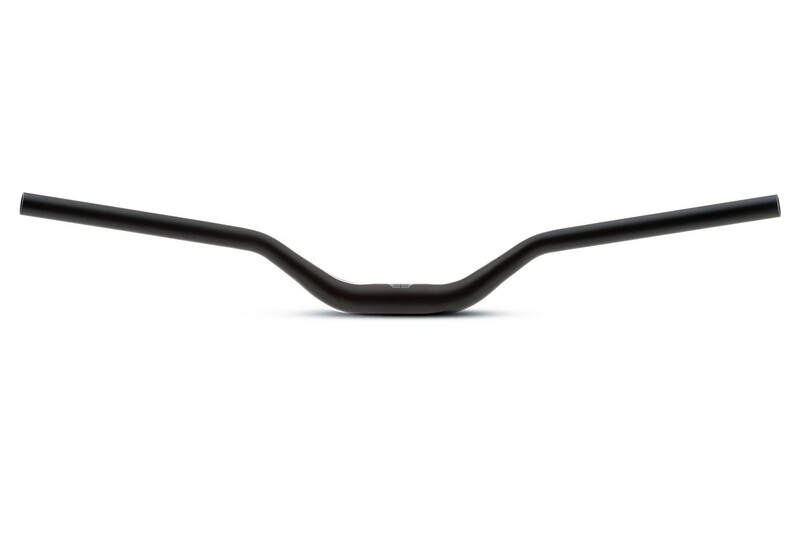 - Its exclusive geometry allows for a wide range of riding positions. - The bar clamp has multiple markings to help with the set up. - Ø31.8mm oversized clamp diameter, compatible with most trials stems. - Anodized black, with grey, red and white Crewkerz WAW graphics.